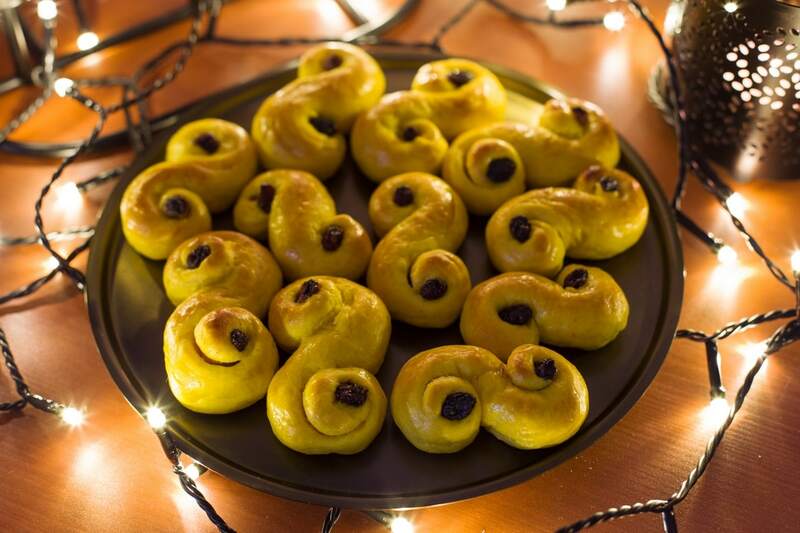 Lussekatter are Swedish saffron buns traditionally baked and enjoyed aroud St. Lucy’s day in Sweden. 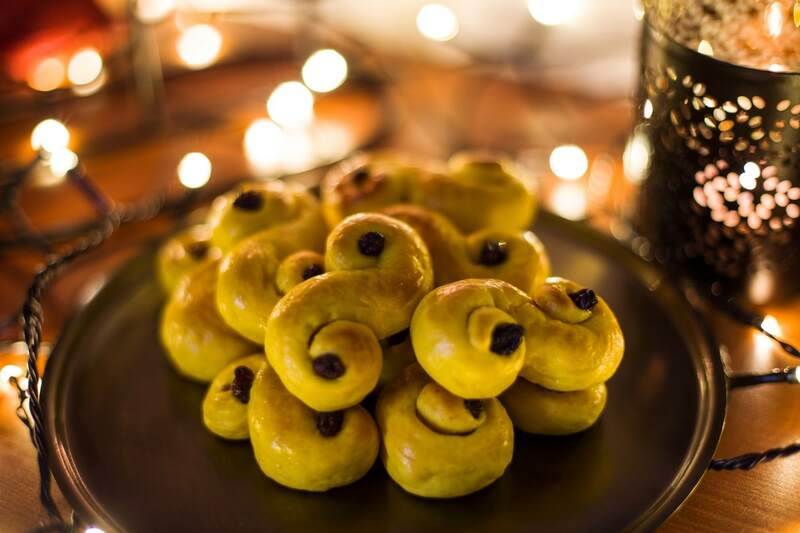 Also known as lussebullar, the saffron buns are made of a yeast dough flavoured with ground saffron. 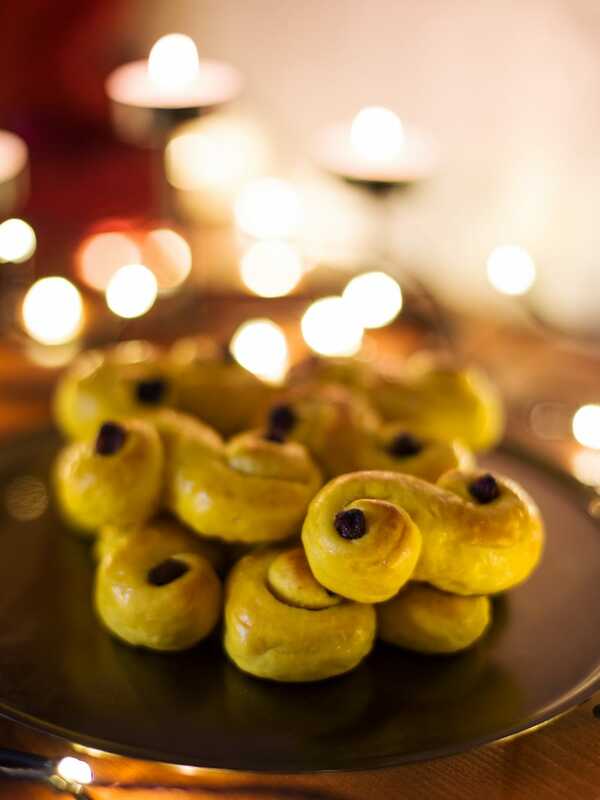 It is saffron that makes the Lucia buns bright yellow in colour and gives them their distinctive taste. St. Lucy’s day (Sankta Lucia) is an important festivity in Sweden and Norway. Although seemingly a Christian festivity, its roots are pre-Christian and linked to winter solstice celebrations. Read on to learn the history of St. Lucia in Scandinavia or scroll to find the Swedish saffron bun recipe. Once upon a time in the forests of Scandinavia there was an evil creature, a female demon named Lussi. Once a year, on the longest night of winter, Lussi would set off on a Wild Hunt punishing those who had not finished their work before the festive time of Yule. People in the villages would stay awake on that long night, clutching their axes, ready to protect their houses in case Lussi came down the chimney. Children were especially frightened because Lussi was known to capture those that had misbehaved. Once upon a time in the Sicilian town of Siracusa there was a young girl known to be of help to persecuted Christians hiding in the darkness. Betrothed to a Pagan man, she refused to marry him and chose to give all her wealth away and devote her life to Christ. Tortured and killed for her belief, she died a martyr and was later canonized. Her name was Lucia. Lussi’s Wild Hunt coincided with the winter solstice, that in the Gregorian calendar occurred on December 13th. December 13th happens to also be Saint Lucy’s day. Lucy, or Lucia is a name that derives from the Latin word for light; the Sicilian virgin is also known as the bearer of light. In a land cursed with winter darkness, the promise of the return of longer days after the winter solstice clearly deserves a celebration. 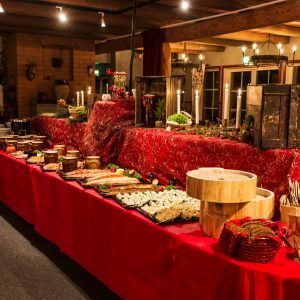 Dating back to the days of Lussi and her Wild Hunt, later replaced by Lucia the bearer of light in the darkness, St. Lucia celebrations in Scandinavia have something magical that transcends Christian traditions. Lucia celebration in Scandinavia features several activities. The simplest way of summarising the celebration is: a procession led by a girl dressed in white – representing Lucia – with a wreath of candles on her head. Everybody sings traditional tunes in the light of candles. This procession takes place in every church and in every school and it is a fairytale-like moment at a time of the year when the days are shortest. The days between December 13th and Christmas are actually the shortest of the year, where I live the sun sets as early as 2PM. As in every festivity, of course there is a food linked to this day. That food is the saffron bun, that in Swedish goes by the name of lussekatt (plural lussekatter). The leading girl in the procession, the one that impersonates Lucia, offers saffron buns to the people. During the month of December every store in Sweden sells saffron. 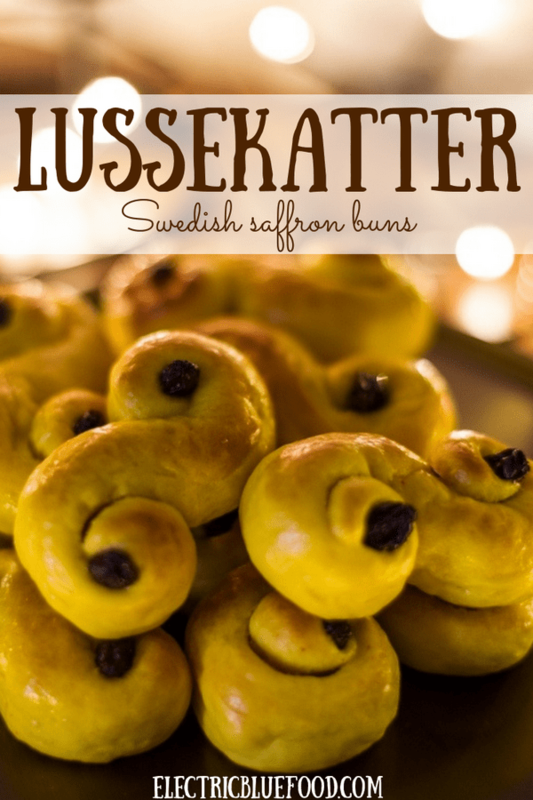 It comes crushed in small packets that weigh 0,5 g. Traditional saffron bun baking implies large quantities, therefore a regular batch of lussekatter Swedish-style calls for 1 g of saffron – that is to say 2 packets. My recipe has a much smaller yield. One day, when I will have a large family or just many guests visiting for Christmas, I will embrace the full tradition of baking trays over trays of saffron buns. Until then I will stick with my reduced recipe, that calls for a half packet (0,25 g saffron) and is more than enough to satisfy myself and my husband. More saffron inspiration: saffron panna cotta. Lussekatter are yeast buns baked for a fairly short time in a very hot oven. First of all, you need to prepare the dough. Combine the margarine and milk in a small saucepan, set over low heat and stir until melted. Remove from heat, add the saffron and let the mixture cool down until lukewarm. When it reaches body temperature add the fresh yeast and stir to melt. 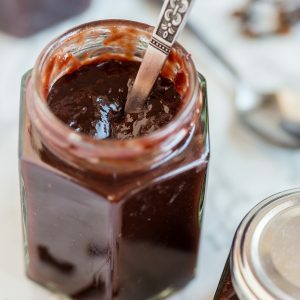 In a bowl, combine the flour, sugar and salt, and pour in the yeast mixture. Work the dough into a nice yellow ball and leave it in the bowl covered with cling film. Leave the dough to rise for no less than 40 minutes. The dough should be very soft but not sticky, adjust the amount of flour if it’s too sticky to handle. 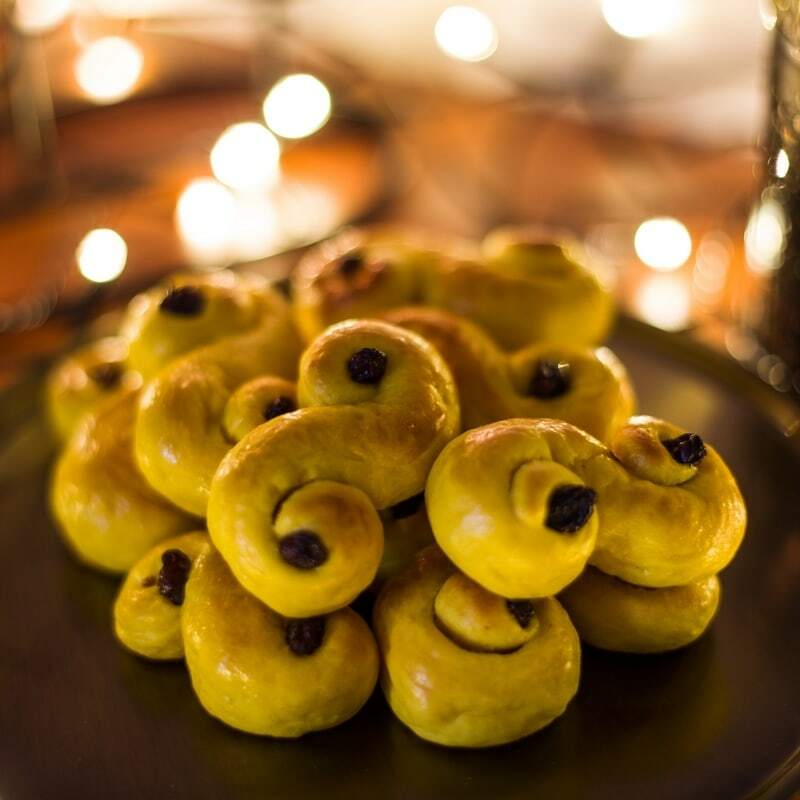 Traditionally lussekatter may have several shapes, but you will most commonly find saffron buns shaped as a reversed S. The size varies, commercial buns are generally around 10-12 cm long. I decided to make mine much smaller, 6-8 cm treats that disappear in two bites. Why not try another classic of the Swedish baking tradition like the cinnamon bun? Traditionally saffron buns are 10-12 cm long. Mine are two-bite lussekatter. When the dough has been sitting for at least 40 minutes, it is time to make the buns. Preheat the oven to 250°C. Take a small amount of dough and roll it into a sausage about as thick as a pencil. Swirl both ends to create the reversed S-shape (see pictures throughout the post) and place the buns on an oven tray lined with baking paper. The buns need some extra time to rest before they go into the oven, but I figured that when making such small versions even that waiting time can be reduced. By the time I was done making them, brushing them with eggwash, and adding the raisins, they were ready to bake. After shaping the last lussekatt, lightly beat an egg and brush every bun with eggwash. Lastly, press a raisin into each swirl. Bake in the preheated oven at 250°C for 5-6 minutes. They will still considerably grow as they bake, so make sure to leave enough room on the baking tray to let them grow without merging as they bake. Enjoy with a glass of mulled wine in the light of candles, preferably with traditional Lucia songs playing in the background. Combine margarine and milk in a small saucepan, set over low heat and stir until melted. Remove from heat, add the saffron and let the mixture cool down until lukewarm. When the misture reaches body temperature add the fresh yeast and stir to melt. In a bowl, combine flour, sugar and salt. Pour in yeast mixture and stir to combine. When the dough comes together, knead it into a ball. Put the ball back into the bowl, cover with cling film and leave to rest for 40 minutes. The dough should be very soft but not sticky, adjust the amount of flour if it's too sticky to handle. Preheat the oven to 250°C. After 40 minutes, take a small amount of dough and roll it into a sausage about as thick as a pencil. Swirl both ends to create a reversed S-shape and place each on an oven tray lined with baking paper. Leave enough room between the ubns as they will grow larger as they bake. Lightly beat the egg and brush every bun with eggwash. Press a raisin into each swirl. Bake in the preheated oven at 250°C for 5-6 minutes. 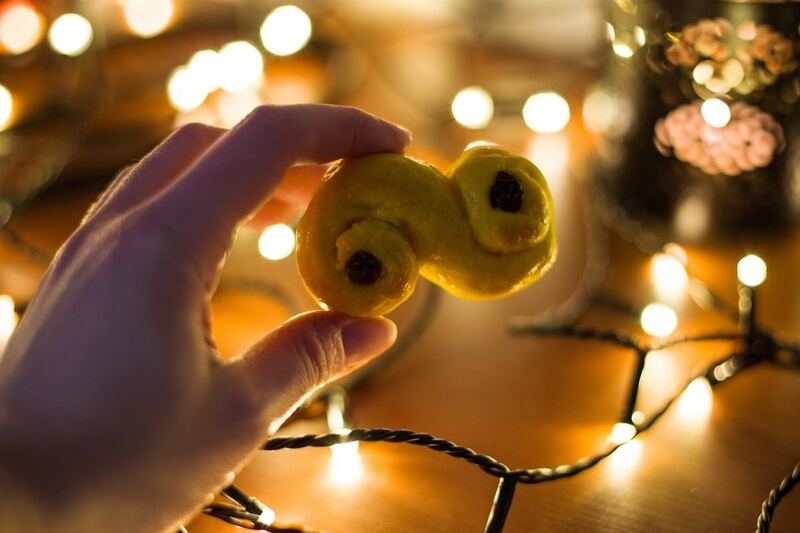 I love the story behind Lussekatte. Such pretty photos too! Thank you for sharing. Thanks! Happy St. Lucy’s day! I love learning about traditions like this. It’s a welcome reminder of how connected we all are culturally, a Sicilian child celebrated in Scandinavia, pagan and Christian elements mixing. And well done for making it snow on your page, I wish I had those IT skills! Thank you, I totally agree with you. Contemporary culture is the result of many layers of past cultures overlapping and that is so interesting to analyse. As for the snow, it is a free feature that can be enabled on any WordPress website. I set it up last year and I don’t remember how to do it but it’s one click in the settings. Just Google something like “snow on wordpress” and it should explain how to get that on your blog too! Must have been quite a cool experience hearing this story on the Arctic Circle train 😀 glad you liked the bun! And yeah, they’re impossible to find at a different time of the year! These little buns look so cute! Those Swedish saffron buns look delicious and they’re so perfectly bite-sized I bet they’d disappear in minutes! What a fascinating story behind these Swedish buns too! Thank you 🙂 I love the tradition and how it just stuck in the culture over time and made two religions merge. I can remember reading about the festival of light when I was a kid – Lussekatter look delicious – I love the idea of saffron-scented buns. Delicious! This is so cool that you had read about this. Before I went to Norway for the first time I had no idea about this tradition. But when your winters are mostly made of darkness you can really understand the importance of such a festivity.